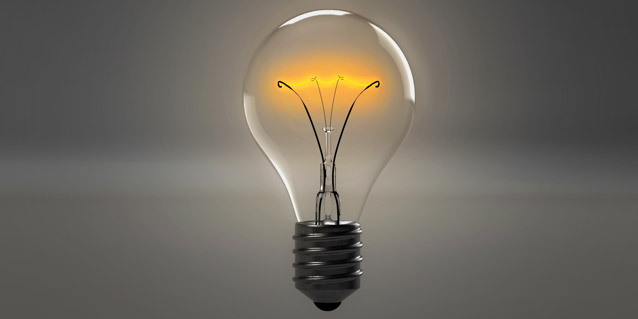 The light bulb has become a symbol of modern invention, and rightly so. The modern marvel of the incandescent bulb has proven what mankind can truly do, and how far our scientific and technological innovations can take us. The history of the incandescent light bulb might inspire an appreciation for the small glass bulbs that power homes, automobiles, desk lamps, street lights, and more. The technology of lighting has come a long way, but the origin of the light bulb - the incandescent light - has not been forgotten. In fact, it is still the most common and popular lighting choice for all different kinds of bulbs. This implies a lot of hope for the future, and what may lay in store for incandescent bulbs. The invention of the incandescent bulb is largely attributed to Thomas Edison - but he wasn’t the sole creator. In fact, plenty of scientists from all different parts of the world worked towards the invention of the incandescent light. People have known since the early 19th century that it was possible to harness the power of electricity as a source of light. But it wasn’t until Edison’s team of inventors in Menlo Park figured out a way to prolong this light that the incandescent bulb was born. Edison may not have invented the incandescent bulb, but he largely perfected it. He came up with a filament that made lamps last for up to 1200 hours, proving that they would make a great addition to residences for the lighting of rooms and homes. After using a carbon filament, which made a bulb last for just over 14 hours, he experimented with bamboo from a paper fan he was using. He made a filament from it and discovered that it was much longer-lasting. He then began revolutionizing and standardizing light bulbs with the use of bamboo filaments. As the years progressed, more inventors discovered increasingly powerful filaments to power their incandescent bulbs. In 1908, inventor William D. Coolidge produced the ductile tungsten filament, which has proven to be the most superior material for filaments to date. He discovered a way to heat the tungsten and stretch it out into a flexible wire that conducts electricity to produce light for thousands of hours. For 100 years, no scientists have been able to come up with a more powerful filament solution than Coolidge’s tungsten. Other tried materials include titanium, carbon, and many metals. But the reign of ductile tungsten still continues, and it has set the standard for the way incandescent bulbs are made to this day. Incandescent light bulbs are still used around the world, and are still the most common type of bulb that is used to power homes, lamps, and even car headlights. However, advancements in recent decades have led to the preference of fluorescent, CFL, or LED light bulbs over incandescent bulbs. Newer bulbs tend to produce longer-lasting lights with a much lower amount of energy required to power them. These new energy-saving bulbs are being marked and produced around the world. Does this mean the end for incandescent light bulbs? Absolutely not! While some manufacturers and organizations have attempted to ban the use of incandescent bulbs in favor of more energy-efficient bulbs, the attempts at a ban have always been shut down. People still prefer incandescent bulbs because they are cheap, efficient, and familiar. While more advanced technologies have created alternative ways of lighting the world around us, there is still a place for incandescent bulbs around the world. These light bulbs have been providing light and energy to households for over 120 years. This is a testament to the importance of the history of incandescents, and the legacy they leave for all other types of light bulbs around the world. With the earliest developments of the incandescent light bulb making an appearance in the 1840s, it can be said with confidence that incandescent lights will not disappear anytime soon. Looking looking for electrical repair Singapore? The pros at Repairs.sg can help!